I love how conveniently located SM Megamall is to my office. 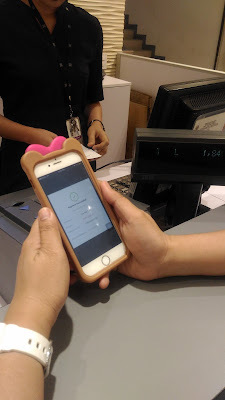 So come lunch time, I am armed with my phone and can easily pay for the items that I wanted to buy, just by using my PayMaya App. 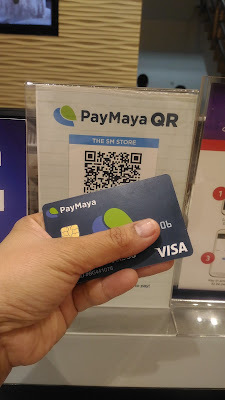 You can actually do two things in paying using PayMaya. If you have a physical card, all you have to do is use it like a debit card. 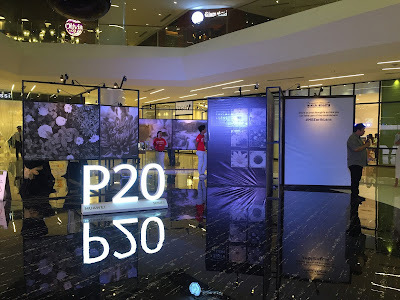 But if you do not have one, you can open your PayMaya app, scan the QR code that's located at stores like he SM Store branches and SM mall information booths nationwide; Robinsons Department Store, Robinsons Department Store, Robinsons Supermarket, and stores under Robinsons Store Specialists Inc., such as Topman, Topshop, G2000, Warehouse, and Dorothy Perkins in Robinsons Galleria. All you need is to scan the QR code, input the amount you are purchasing, tap PAY and it will go directly to the cashier's mobile phone. Aside from the easy and cashless payment, you can also get 10% rebate with the PayMaya QR from December 1 to 31, 2017. 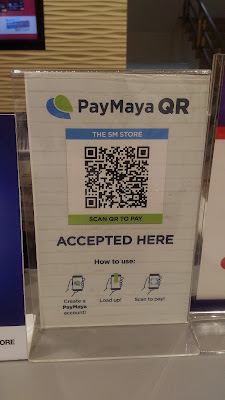 The promo is open to all new and existing PayMaya customers who use PayMaya QR to pay at merchants where the PayMaya QR rebate promo sign is displayed and can earn back 10% of what you paid via PayMaya QR (maximum of P100 rebate per merchant per day). Rebate will be credited to your PayMaya account within 14 business days after the promo period. 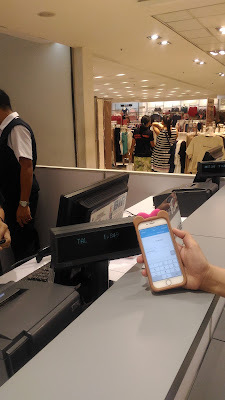 How I really love shopping and saving at the same time! And now it's time for a giveaway! Share this blog post to your Facebook account and answer this: How will you share the love this New Year using your PayMaya? Make sure to post your entries in PUBLIC and use the hashtag: #PayMayaShareTheLove to win PHP5,000 worth of PayMaya credits. Also, comment your link at the comment section of this blog to qualify. Good luck and make sure you have an ACTIVE PayMaya account before joining! https://m.facebook.com/story.php?story_fbid=1981097081900497&id=100000006724166 Joined! here is my entry on Facebook and it is set to public, Thank you! Joined ❤️❤️. Hoping that you pick me. This will help to the people who are affected by #Urduja, #Vinta and #Agaton. Subok lang. Baka kahit sa raffle swertehin ako.